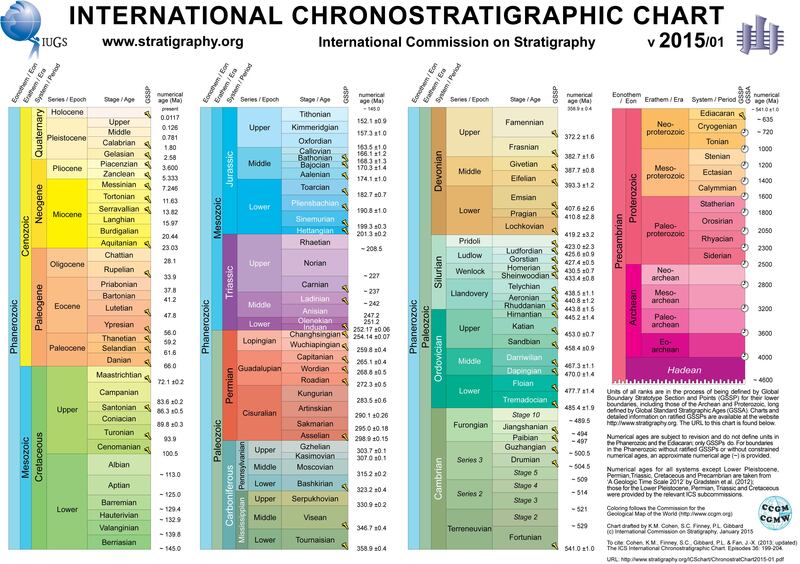 The Aalenian (pronunciation: /ɑːˈliːniən/) is a subdivision of the Middle Jurassic epoch/series of the geologic timescale that extends from about 174.1 Ma to about 170.3 Ma (million years ago). It was preceded by the Toarcian and succeeded by the Bajocian. The Aalenian takes its name from the town of Aalen, some 70 km east of Stuttgart in Germany. The town lies at the southwestern end of the Frankischer Jura. The name Aalenian was introduced in scientific literature by Swiss geologist Karl Mayer-Eymar in 1864. The base of the Aalenian is defined as the place in the stratigraphic column where the ammonite genus Leioceras first appears. The global reference profile (GSSP) is located 500 meters north of the village of Fuentelsaz in the Spanish province of Guadalajara. The top of the Aalenian (the base of the Bajocian) is at the first appearance of ammonite genus Hyperlioceras. Confirmed. The only known species in this Alaskan genus. Abbasites is believed to be ancestral to the ammonite family Otoitidae. 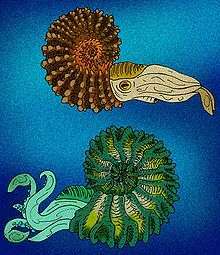 Life restorations of two different ammonite genera. Confirmed. 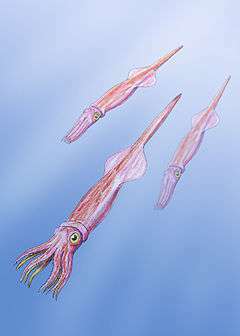 This Eurasian species was the largest known Belemnite and could grow to lengths of up to 10 feet. Cresta, S.; Goy, A.; Ureta, S.; Arias, C.; Barrón, E.; Bernad, J.; Canales, M.L. ; García-Joral, F.; García-Romero, E.; Gialanella, P.R. ; Gómez, J.J.; González, J.A. ; Herrero, C.; Martínez, G.; Osete, M.L. ; Perilli, N. & Villalaín, J.J.; 2001: The Global Boundary Stratotype Section and Point (GSSP) of the Toarcian-Aalenian Boundary (Lower-Middle Jurassic), Episodes 24(3): pp 166–175. Sepkoski, J.; 2002: A compendium of fossil marine animal genera (entry on cephalopoda), Bulletin of American Paleontology 364, p 560.